The trial of a loyalist gang involved in the death of Catholic community worker Kevin McDaid has ended with all of the charges against them being dropped or reduced to minor ones. A case which began almost five years after the death of the father-of-four ended this week with a decision on Thursday to acquit the final two men accused of his manslaughter. Crown prosecutors said they were presenting no evidence against the men. A total of fourteen had been accused of involvement in the sectarian mob attack in May 2009. 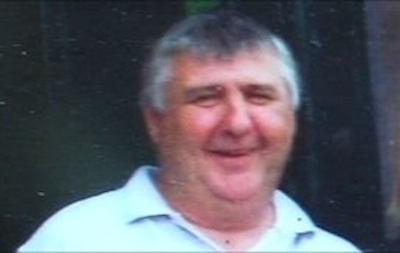 Twelve faced charges arising from the death of Mr McDaid, who collapsed and died outside his Coleraine home after being attacked in May 2009. Charges had also been brought over the attempted murder of his friend, Damien Fleming, and an assault on Mr McDaid’s widow, Evelyn. A gang of up to 50 loyalists had entered the nationalist Killowen area of the town to remove tricolours and Celtic flags after Glasgow Rangers won the Scottish Premiership title. Once there, they set before upon Mr McDaid and a neighbour. Mrs McDaid had said her husband “seemed to disappear” among his attackers, before he collapsed outside his home. Another witness said the group had shouted: “We’re the UDA, we’re here to kick some Fenians’ heads in”, before setting upon Mr McDaid. “A crowd of people just started attacking him, kicking at him as he lay on the ground; everywhere possible, his face, his chest, his sides, his legs,” said Leona Whittaker. She said that Damien Fleming’s attackers had “used his head like a rugby ball”. Over the course of the past week and a half, ten of the 12 men pleaded guilty to the much lesser offences of causing grievous bodily harm and causing an affray as the PSNI dropped the most serious charges. The final two were acquitted on Thursday of the manslaughter of Mr McDaid, assaulting the father-of-four, and attempting to murder his friend Damien Fleming. The PSNI always refused to acknowledge that the UDA was involved in the attack, even though Mr McDaid’s widow was later forced to move from Coleraine because of paramilitary threats. Sinn Fein made no comment on the case, but SDLP assembly member John Dallat said the outcome required an independent investigation. He said there were serious questions as to why the PSNI did not stop the mob which drove some distance to its target. “The McDaid family have not had justice and they certainly have not been given answers as to why they are now mourning the death of a husband and father in circumstances where this need not have happened,” he said.